The sports betting industry across the United States and around the globe has evolved into a multi-billion-dollar enterprise aided by major advances in online technology and specialized software applications. When you think of betting on sports, the average fan most likely defaults to Las Vegas as the biggest hub for placing bets. The top offshore sportsbooks operating online also account for a big chunk of the revenue generated by betting on sports along with the UK and Canadian books in the marketplace. Even when you add up the amount of money bet on sports at land-based and online sportsbooks, it is still far less than that amount of money bet on sports through private bookmakers also known as bookies. The sports betting industry started with local bookies and it continues to expand behind the growth of this segment of the industry. Booking your own bets is rather easy to do. As long as you have the cash reserves to pay off winning bets, you can sit back and collect the standard 10 percent commission charged on the losing ones. Also know as “juice” or the “vig”, a bookie makes the majority of their money on that 10 percent spread between winners and losers. The extra profit is referred to as a bookmaker’s hold percentage. The goal of any bookie is to balance out the money that is wagered on either side of a game while pocketing the juice on the losing side of those bets. In theory, this should be a simple way to make a living. The reality of this business is that sports bettors in general tend to lean towards favorites which often times creates a situation that can be very hard to balance. The good news is that upsets are very common in any sporting event which helps to tip the scales in the book’s favor. Other than the upfront cash reserves needed to cover any bets you need to pay out right away, the cost barriers to entry are rather low to start your own bookmaking business. All you really need are a few sports betting customers to get your business off the ground. A working knowledge of sports and the mechanics of betting on sports can be extremely helpful, but if you keep things really simple at the start, it is amazing how much you can learn through some practical experience. Booking a few bets from your buddies for this Sunday’s NFL games is one thing. Successfully running and managing your own independent sportsbook as a private bookie is a whole other ball game. Back in the old days, the only business tools needed to run a book were a phone along with a pen and some paper. In today’s highly technical, computerized business environment, it takes a rather extensive number of tools to get the same job done. The rise of the Internet over the past few decades has changed the way people do business in just about every industry across the board. Offshore sportsbooks in locations such as the Caribbean and Central America were able to expand their customer base on a global scale with a heavy concentration on the United States through the use of online betting venues. Along with that expansion, other offshore companies in the sports betting industry began to develop online betting solutions for private bookmakers. These emerging sports betting software companies were referred to as Pay Per Head bookie service providers given the business model they employ. The pay per head provider basically leases its online sports betting software solutions to private bookies by charging a weekly fee for every active betting customer. This has turned into an extremely affordable way to run your own independent sportsbook. 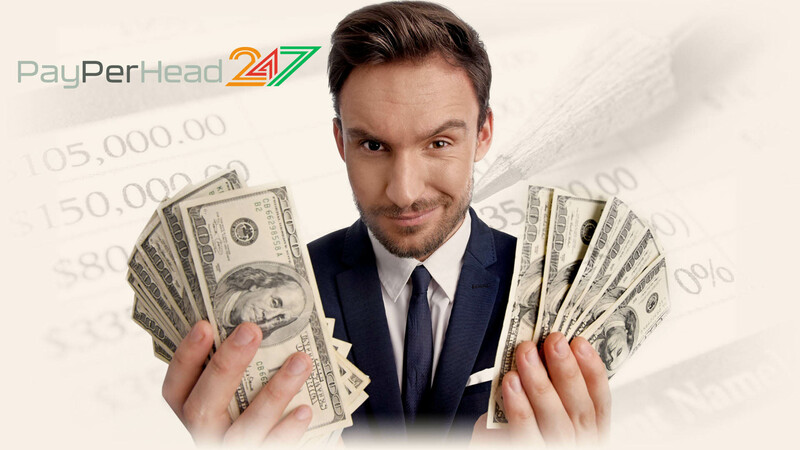 Even if you only have a handful of betting customers, it makes business sense to take your bookie operation online with a quality pay per head site. Not only does this automate the day-to-day transactions and administrative tasks that go into booking bets, it transfers the operational end of your private book to a PPH service located in a legal sports betting jurisdiction. This will help shield you from any existing legal issues that still cloud the waters. Once you are up and running with a price per head shop, you can begin to devote the bulk of your time to building and growing your operation. One of the best things about running a private book is the ability to develop your own sports betting customer base. Some bookies only want to work with recreational bettors that take a very casual and conservative approach to their overall betting strategy. Other bookies are willing to dial up the risk with heavy bettors placing high-unit wagers. Regardless of how you decide to shape your customer base, the right pay per head site can be instrumental in helping you achieve your business goals. One of the biggest benefits a PPH service does bring to the table is an online presence for your bookie operation. Some providers will design and maintain a custom website that meets your specific needs. This can help you level the playing field with the big online sportsbooks in the industry. It will also allow you to fully exploit your biggest edge over competition- the higher level of customer service and attention to detail- that the big books will never be able to duplicate. You have a sufficient sports betting customer base and you also have the right pay per head site as your silent business partner. The road to long-term financial success as a private bookie hinges on your ability to use both to elevate your overall service to a higher level. Too many bookies start getting lazy with some level of success. They rely way too heavily on football and basketball to drive their bottom-line profit. They become content with what they have right now with no real eye towards the future. Any business that stands still long enough will eventually start moving backwards. You always have to keep in mind that you are running your own business and that takes hard work on a regular basis. Today’s highly sophisticated pay per head bookie software solutions offer a number of ways to build additional revenue streams leading to higher profits. Starting with an expanded betting board for sports, you can add online applications to run your own racebook for horse betting and an online casino equipped with slots, other video gaming options and live-dealer table games.